Though many of the pictures I post are of places I dream of exploring there are a smattering that I have taken from my trusty camera or trusty iPhone! I’m going to be honest here and say I used to be a bit of a country snob [insert embarrassed face]. If I had already visited a city in a country I took that country off my ‘to visit’ list. (With the exception of America as it’s so frickin big!) Venice changed that. My partner had been raving on about Venice for many a year. As I had already visited Milan I thought ‘been to Italy, done that’ and brushed him off. But after travelling to several other countries I decided to give in and book a long weekend in the city of canals. When we arrived at the boat terminal (is that the right word?!) I had a sinking feeling (excuse the pun). Boat. Seasick. Dread. Why had I agreed to this? Once we’d entered the city all of that was forgotten. 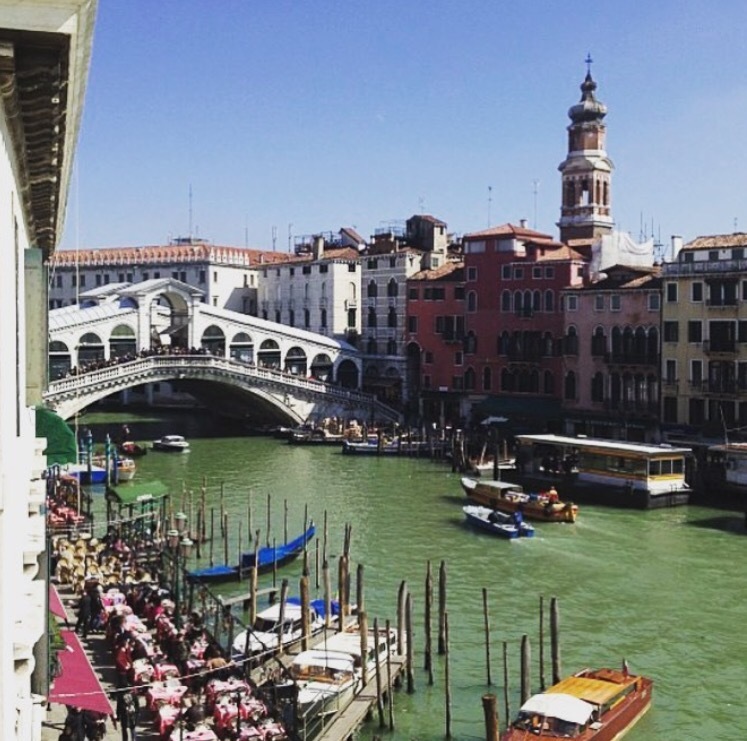 Seeing the Grand Canal and the Rialto Bridge got my travellers feet itching to explore. 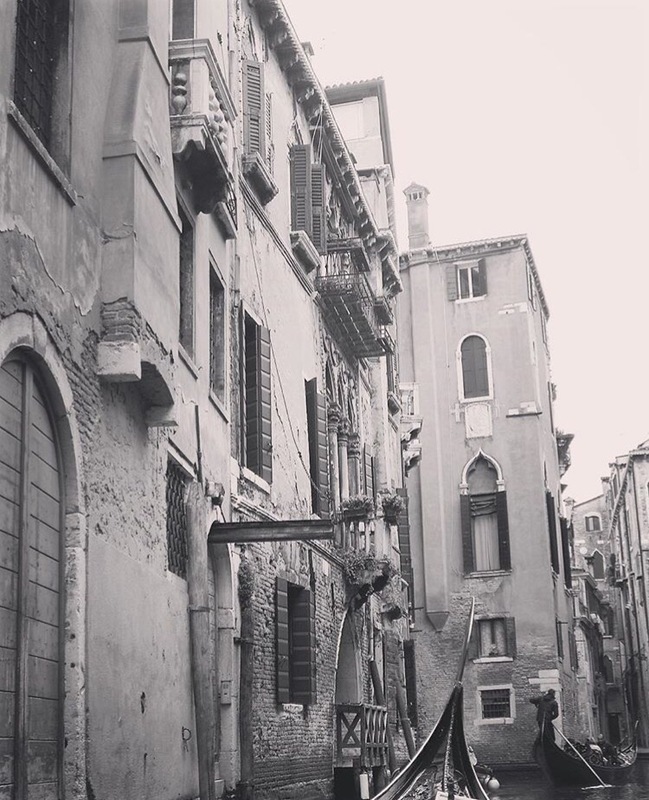 The thing I love about Venice is the way you can walk around for hours, getting lost in all the little quirky streets, and never ending up in the same place. Or you can walk around for ten minutes and end up exactly where you started! It didn’t matter which happened. As we were there in March it wasn’t too busy, there were enough people to create a bustling atmosphere but not enough to feel overcrowded. But the one thing I will never forget, which is the one thing that didn’t even cross my mind that we’d see, is the sight of Venice when it pours down with rain. As you can imagine, a city with roads made of water can only mean one thing when rain occurs – overflowing. What struck me most was the beauty of it, the canals merging with the footpaths gave the city even more character. The people queuing to go into the Basilica had to stand on wooden platforms as a new canal had formed around the famous church. I think this is one of the first times I’ve really appreciated rain on holiday! Almost 4 years on and I still think of Bella Venezia and everytime we talk about having another weekend away I suggest going back – a far cry from the country snob I once was! Auf Wiedersehen, or should I say Ciao, for now.